Learning Your Stripes : Regan Gentry. 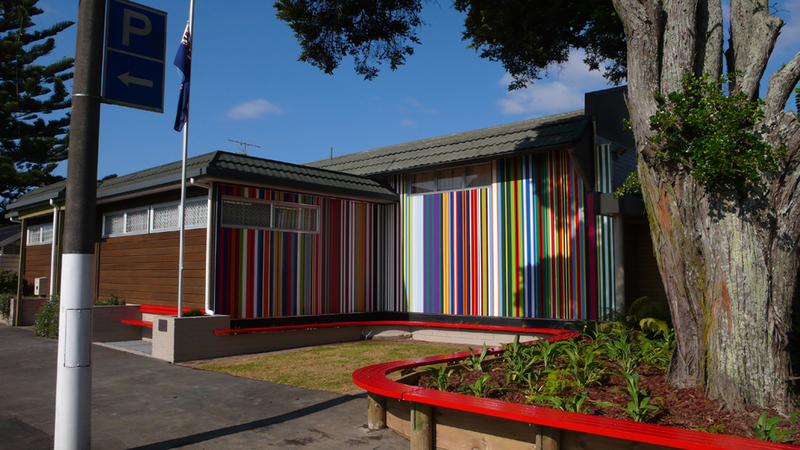 Powder coated aluminium strip mural depicting NZ military service ribbon order of precedence. 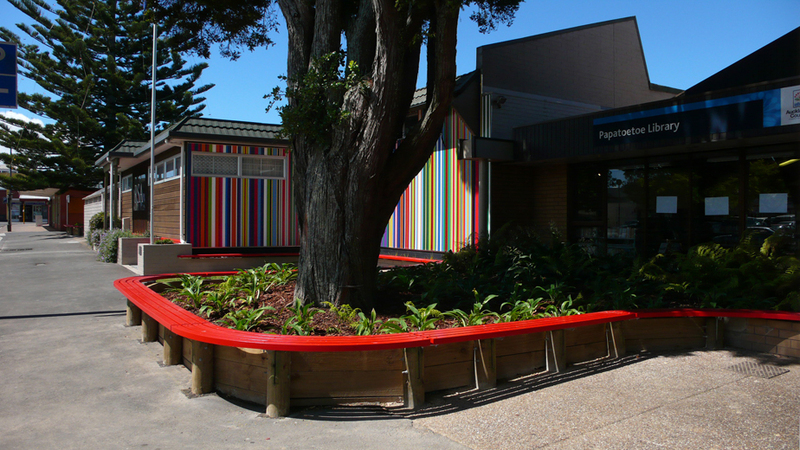 100m red wooden striped seating. 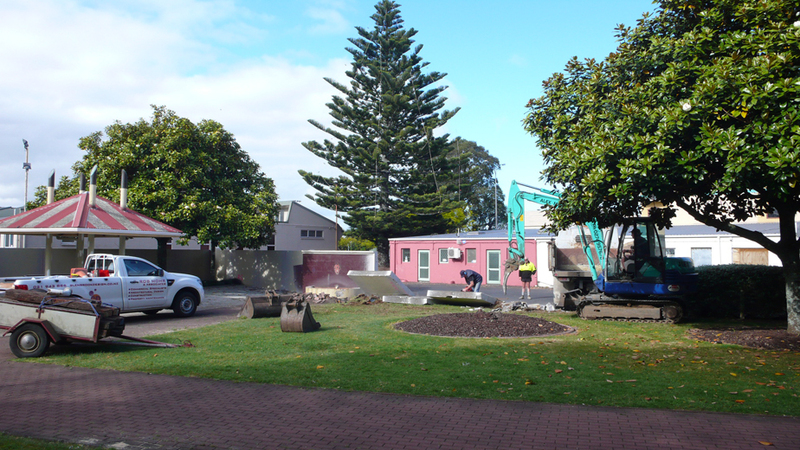 Removal of wall, trees and hedge. Path realignment. 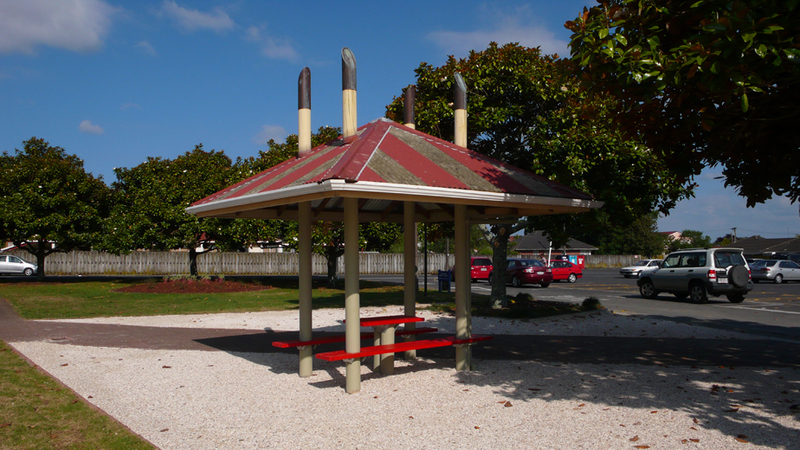 Permanent installation over roughly an acre. 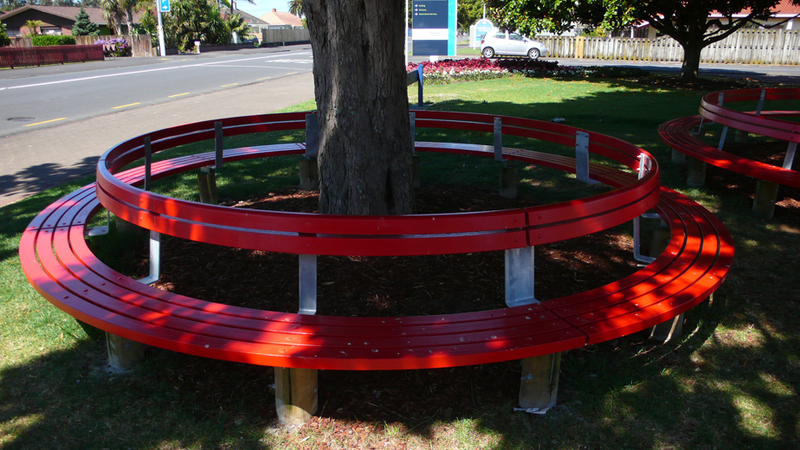 Aluminium, powder coating, wood, paint, steel, brick, plantings, grass, shell. 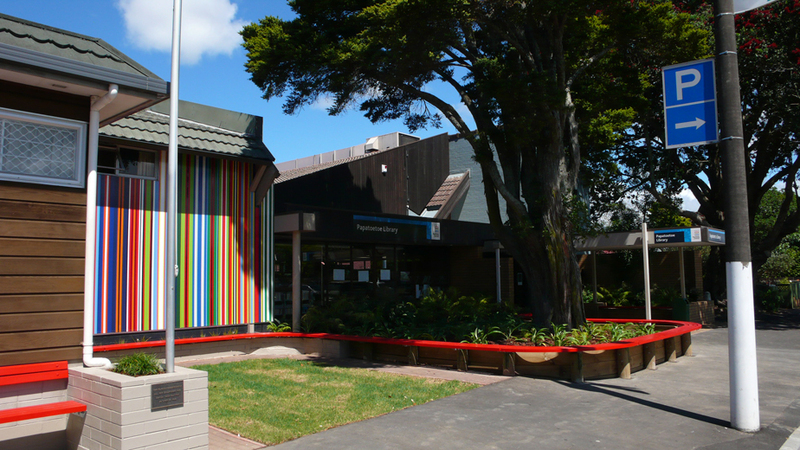 Burnside Park, Papatoetoe RSA memorial area and Papatoetoe Library. 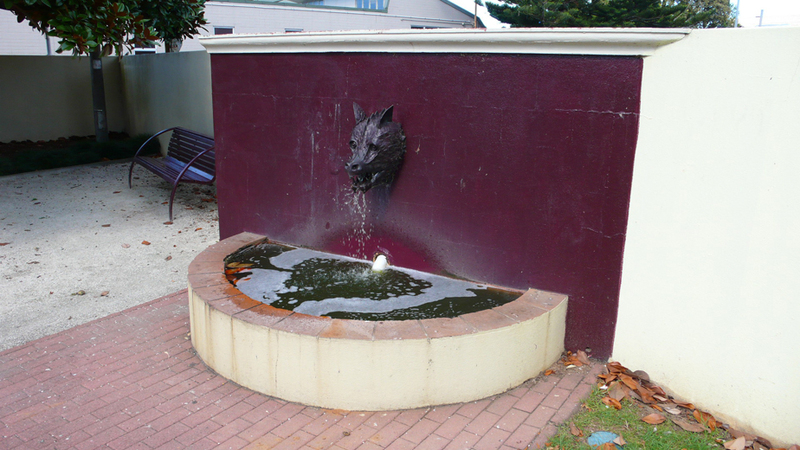 Auckland Council, Public Art Project. 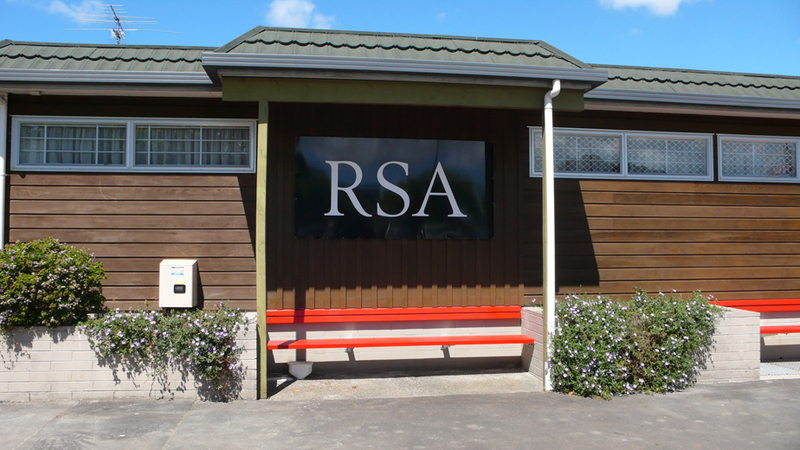 This project involved rejuvenating a small park, and a RSA (Returned Services Association) memorial area that is situated on a Heritage Trail though old Papatoetoe, Auckland. 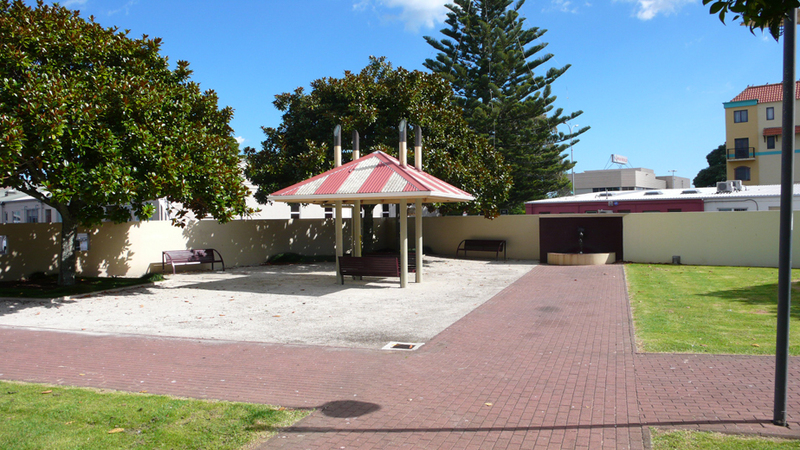 The memorial area and park were striped back and reorganised. The redesign concept came from spending time in the area, watching it operate, and talking to the characters that people it. 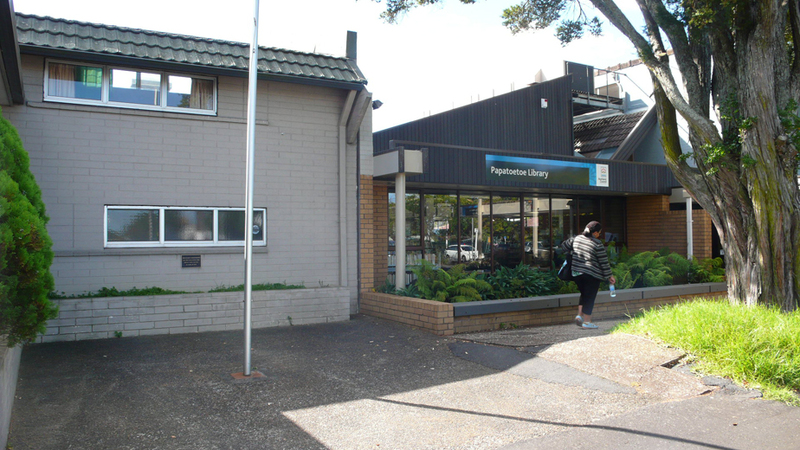 This ranged from the council services’, local businesses and the homeless. 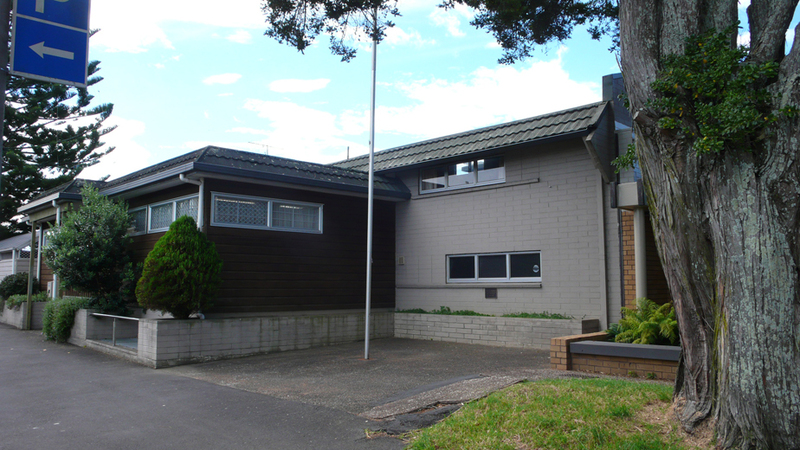 Their ideas, goals and knowledge guided the design. 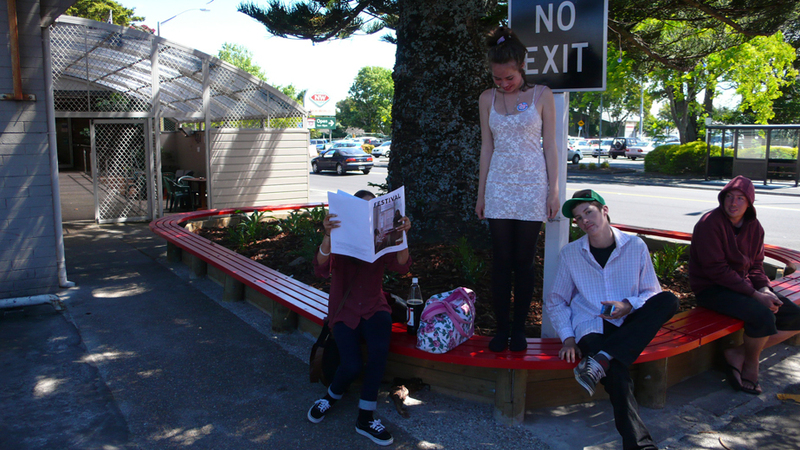 I joined the dots, and them built them. 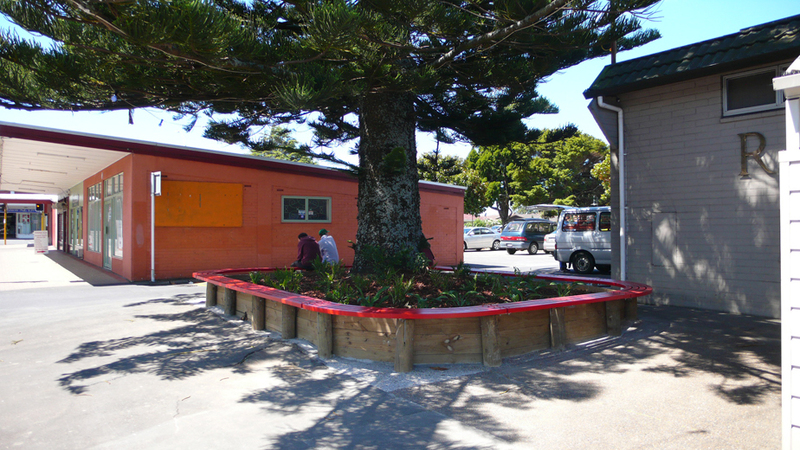 A huge thanks to the Auckland Council Parks team for coming onboard. 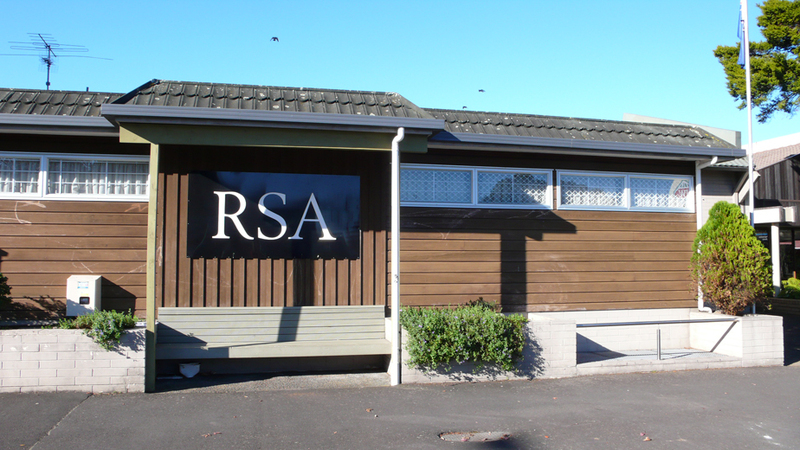 The flagpole was moved from the centre of a recess to a prominent corner of the RSA building, dually opening the memorial space. 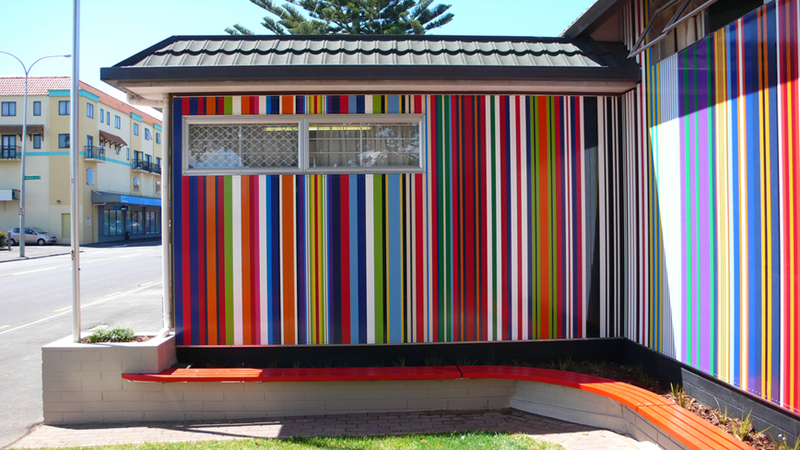 The wall was dressed with a 4 x 10m mural depicting the ribbons that accompany military service medals. 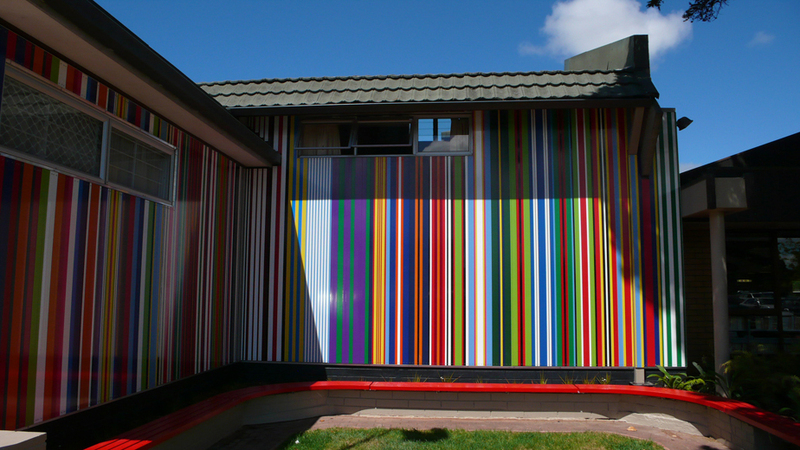 The sequence of stripes depicts the campaigns in which New Zealanders have served. 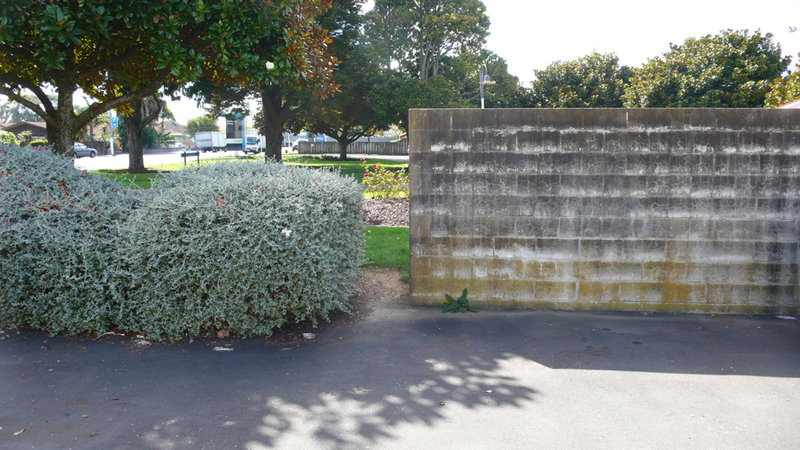 The park was cleared of a hedge, a 15m tall dying tree, a 2m high and 40m long concrete block wall, and a heinous fountain; whereby opening long visual sightlines and achieving a safer sense of place. 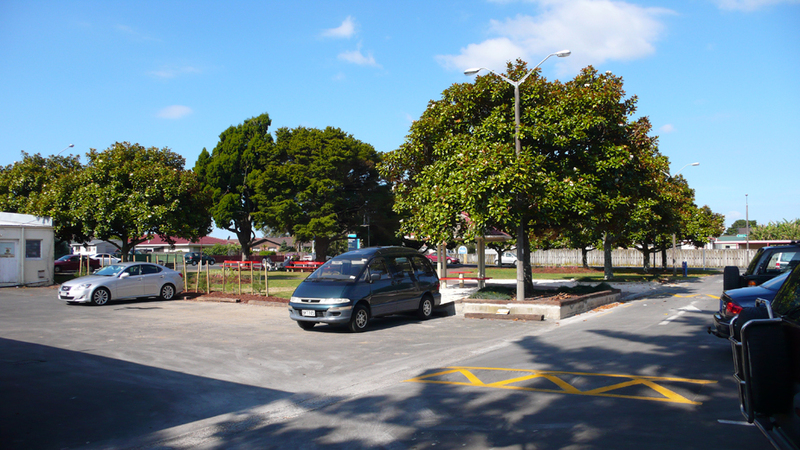 Native hedging, and plantings were reinstated. 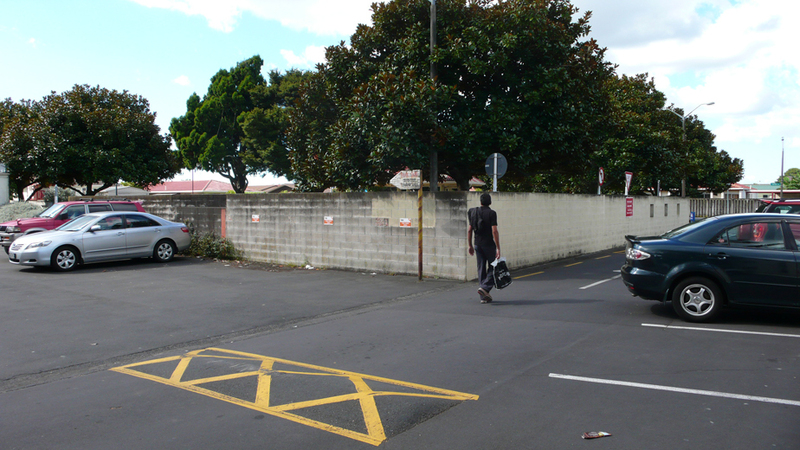 Park pathways were taken up and realigned to suit new pedestrian flow. 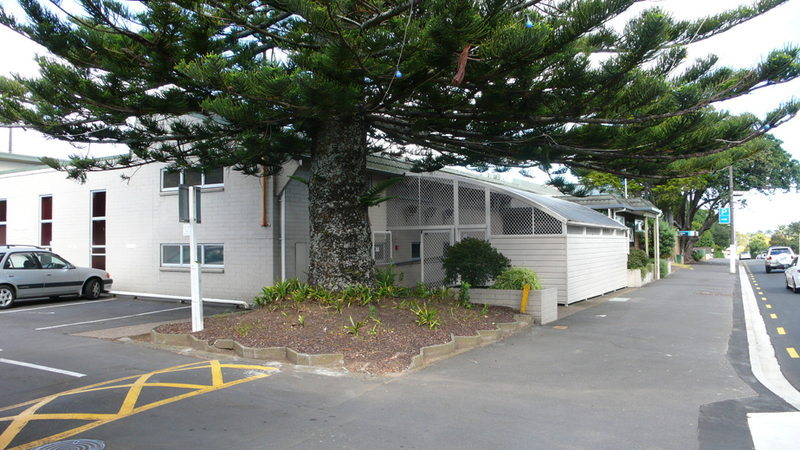 Crushed shell replaced the compacted lime. 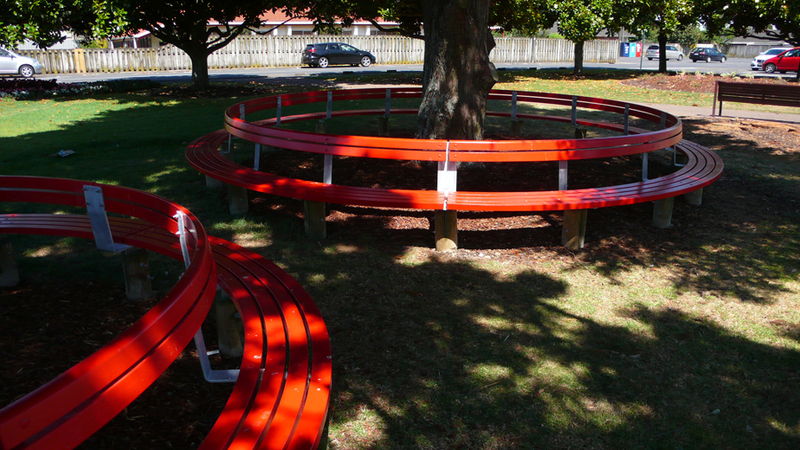 Four significant trees of the area are surrounded with 100m of red wooden seating. 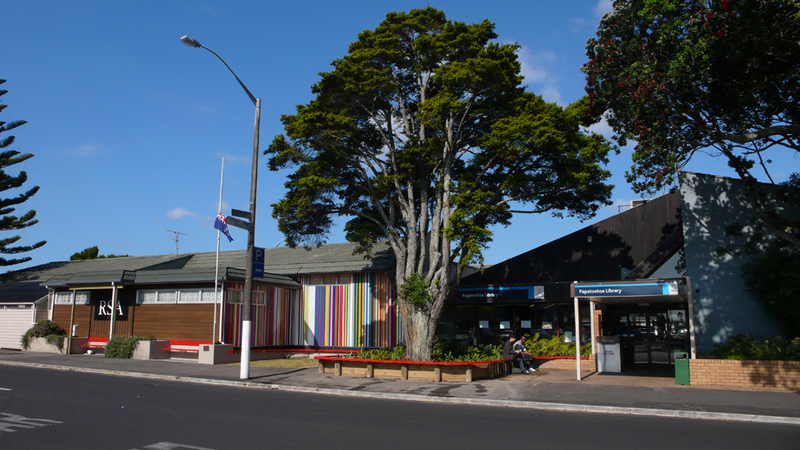 The totara is a symbol of strength and leadership within Maori society. 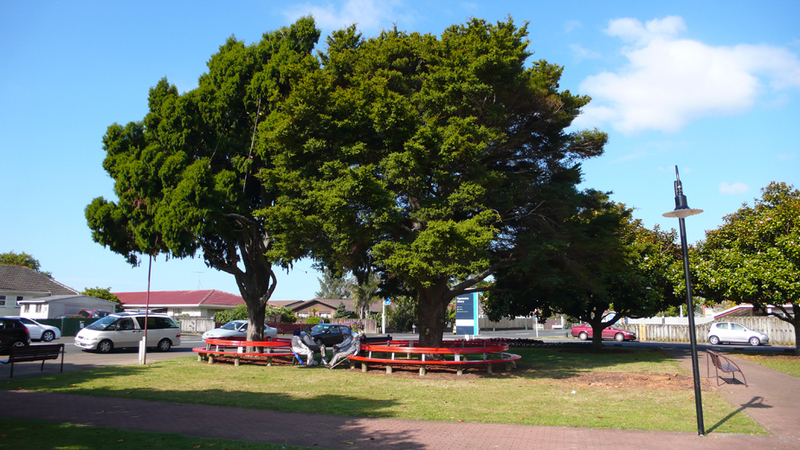 The totara also figures in the proverb he totara haemata, which translates as ‘a sapling snapped off’, and refers to a person killed while still young. 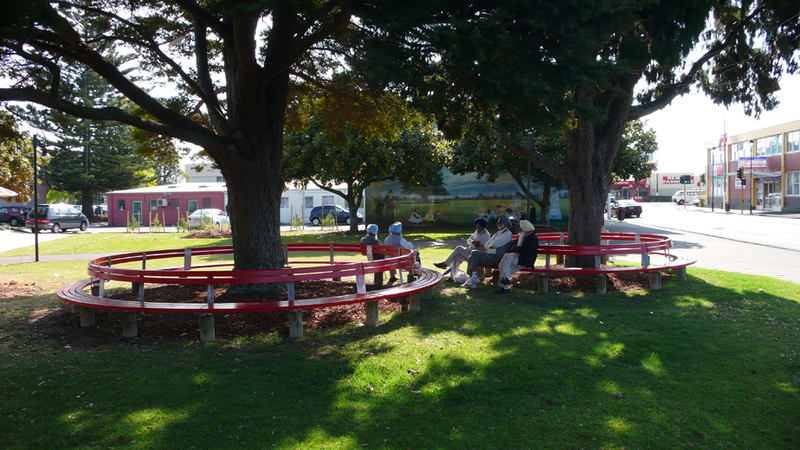 In this context, the enduring totara is an embodiment of the returned serviceman, and reminds us – as we are reminded at ANZAC Day celebrations – of those who do not return from war to grow old. If cared for, this tree will live another 900 years.